With the help of Subaru and Meals on Wheels America, COA’s Meals on Wheels program delivers the support that keeps St Johns County seniors in their homes, where they want to be! This holiday season, we hope you’ll Share the Love by supporting vulnerable seniors in our area through the 2018 Subaru Share the Love® Event. 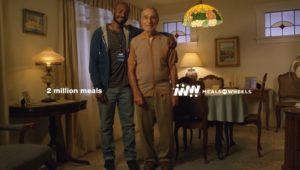 Over the past ten years, Subaru and its retailers have helped the Meals on Wheels network deliver nearly 2 MILLION MEALS to homebound seniors. You can help that number grow when you buy or lease a new Subaru during the 2018 Subaru Share the Love Event (November 15 – January 2). Simply select Meals on Wheels to receive a $250 donation from Subaru. We are proud to participate in the 2018 Share the Love Event to help raise critical funds needed to support our local seniors, and we hope you’ll join us! Every day, the COA and a dedicated group of caring volunteers work diligently to provide nutritious meals to homebound elders in the St. Augustine/St. Johns County community. In addition to a daily meal, this program offers those with limited mobility an opportunity for some often much-needed social contact. There are subsidized meals and private-pay meal options; temporary meals and long-term meal deliveries; if you or someone you know could use a little help from MOW, please give us a call! And did you know? The COA can provide monthly Meals on Wheels pet food deliveries to pet-owners who receive Meals on Wheels. We can also offer assistance with basic preventative pet care. All thanks to a grant from Meals on Wheels of America and partnerships with St. Johns Veterinary Clinic, Murabella Animal Hospital and the St. Augustine Humane Society! Here is an article from Aging In Place titled: The Facts Behind Senior Hunger which addresses the causes, complications and cures for senior hunger. Here’s a short video that illustrates the impact Meals on Wheels can have! Q: I am not home bound but have just been released from the hospital and it’s difficult for me to prepare a meal at home. Would I be eligible for Meals on Wheels? A: Of course! Meals on Wheels can offer temporary – or long-term – assistance to anyone who is in need. If you are over the age of 60, subsidized meals might be available for you, but there are many, many options. Please call our service team at 904-209-3632. Q: My brother is recuperating from a fall. He is only 52 and has financial resources. However, he won’t be able to cook for a few months. Would he qualify for a service like this? A: Yes! The COA Meals on Wheels program has a private pay option that would be perfect for your brother or any other St. Johns County resident in a similar situation. Q: Will the meal delivery people leave a meal for me if I am unable to be at home? A: Unfortunately, we are no longer able to leave meals for those who may not be home when the meal is delivered. However, we can give you an approximate delivery time so that you can arrange your schedule accordingly. A licensed Dietitian closely monitors all menus to ensure that each meal meets 1/3 of the Recommended Daily Allowance (RDA) requirements. Nutrition education is available to each individual to help them understand their special dietary needs. 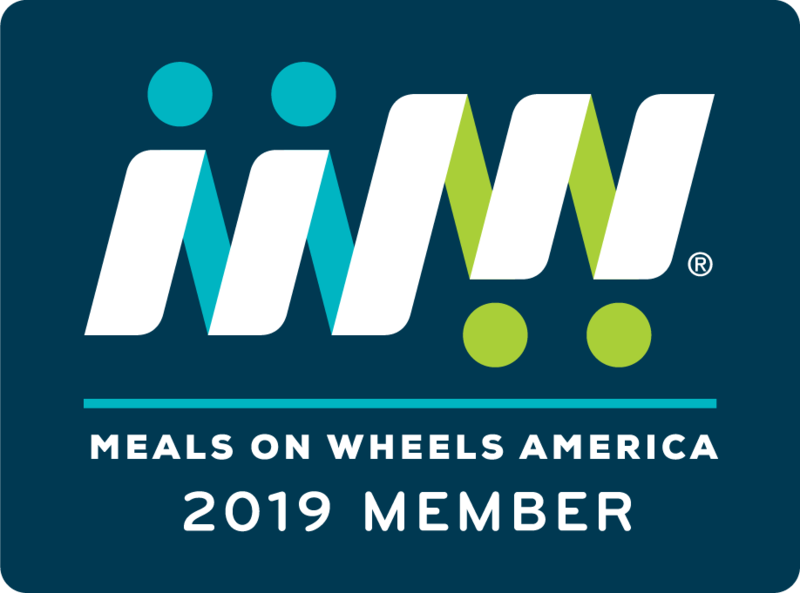 The Council on Aging is proud to be a member of Meals on Wheels, America!